1 197 kr per månad i 48 månader. Restvärde 5 390 kr. Uppläggningsavgift 450 kr. Det är inte bara inom streaming som framsteg görs! The D-05u digital media player from LUXMAN inherits its outstanding high end performance from the flagship model, the D-08u. 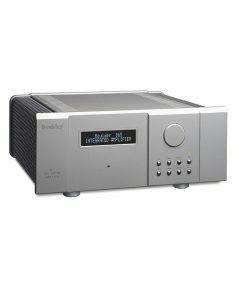 It is a CD/SACD player with the added benefit of reproducing file sound sources by connecting to a Windows PC or Mac via USB. 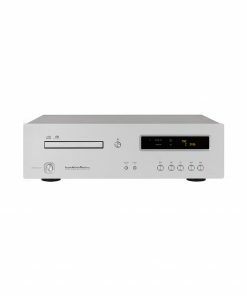 The proprietary LxDTM disc drive mechanism at the heart of the LUXMAN ‘D’ Series offers overwhelming rigidity for high precision, accurate signal processing. 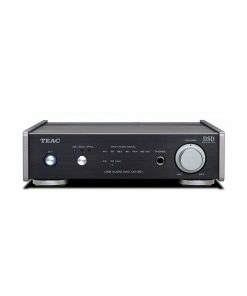 In addition, the D-05u achieves profound musical expression above its class due to the advanced digital circuits that support up to 192kHz/32-bit PCM and 5.64 MHz DSD and high sound quality buffer circuits with fully balanced configuration. The D-05u embodies an evolving listening style in as‘digital media player’, the uppermost of the music reproduction systems. The D-05u supports high-grade CD/SACD reproduction as a matter of course but additionally can support the reproduction of file sound sources of up to 192 kHz/32-bit PCM data and DSD data (2.82 MHz, 5.64 MHz) by connecting to a PC or Mac via USB cable. 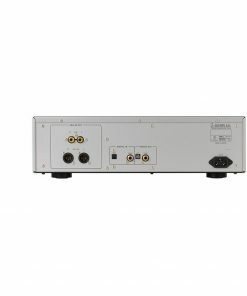 The jitter of USB signals is completely eliminated by the dedicated DSP via asynchronous communication, whilst the jitter of CD or S/PDIF signals is eliminated by the embedded DAIR high-precision clock. A dedicated jitter reduction chip eliminates jitter from SACD signals. 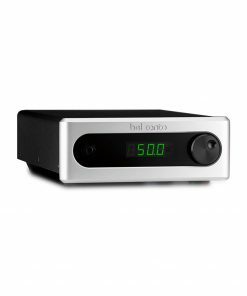 In addition, the D-05u features a low phase noise clock module that reduces noise near the oscillating frequency and therefore improves the accuracy of the entire signal transmission. In order to achieve the precise musical expression required from the uppermost of the integrated system such as the D-05u, the accuracy of the proprietary LxDTM mechanism combined with cutting edge digital technology is necessary. 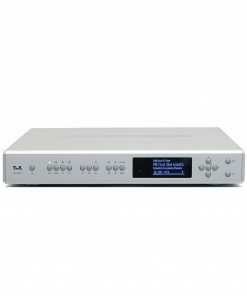 The design of the D-05u ensures that signals read by the LxDTM are sophisticatedly digitized into analog signals through a high-precision converter and then output through a high grade analog amplification circuit. 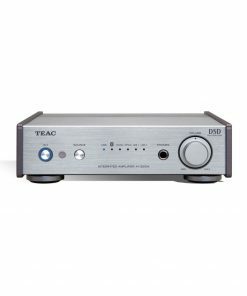 The D-05u has achieved a reduction in the impedance of the differential output of the D/A converter, PCM1795, operated at the monaural mode with the use of a high sound quality buffer circuit with fully balanced configuration (identically configured amplifier x 4 units). This unit enables next stage components such as an integrated amplifier or a control amplifier to be powerfully driven by the D-05u. The PCM1795 – the latest 32-bit compatible chip – is used for the D/A converter in a dual configuration setup that is identical to higher grade models. Thanks to a built-in function, a digital filter is selectable from 2 types for PCM signals, and a tone is selectable from 2 types made by the analog FIR filter for DSD signals. The high-inertia power supply featured in the D-05u consists of large-capacity power transformer, independent regulators for each circuit and a large-capacity block capacitor. The cabinet of the D-05u has a complex structural design utilising a loopless and shielded chassis that acts as a countermeasure against magnetic field, ground impedance and digital noise. 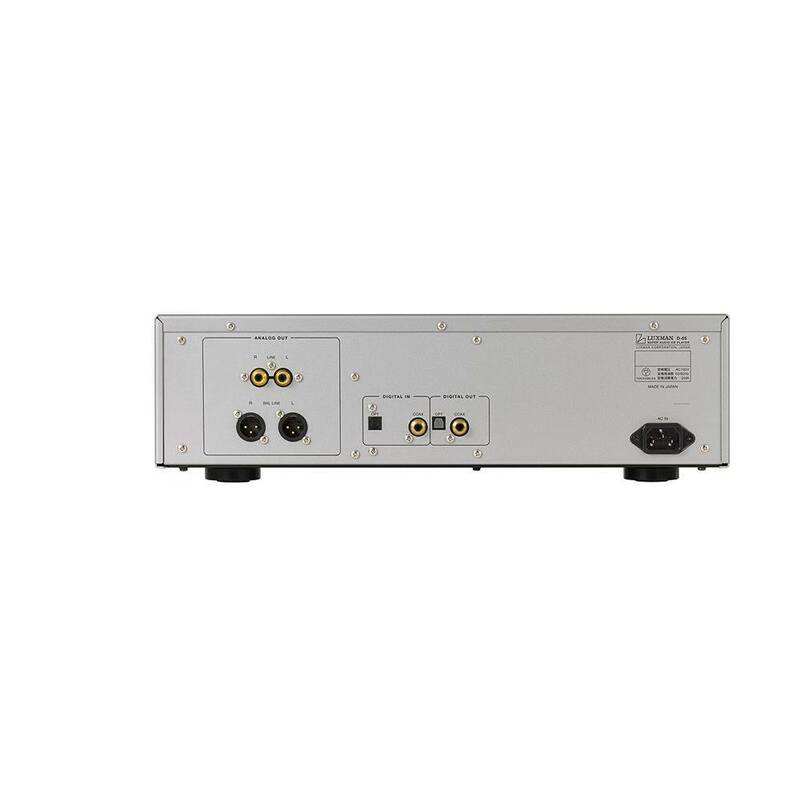 The RCA terminals are 18 mm pitch with gold plating and high-grade XLR terminals manufactured by Neutrik® Limited are provided for the analog outputs on the rear panel. A USB input terminal supporting DSD/PCM signals, as well as coaxial line and optical line input/output terminals support up to 192 kHz/24-bit PCM and are provided for the digital signals. 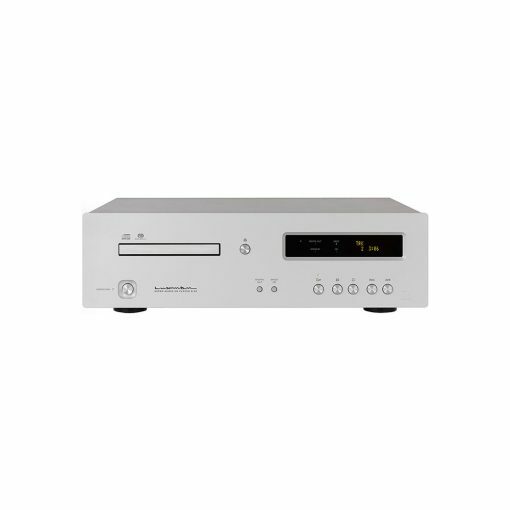 The D-05u is proud of its rigidity as higher grade models.The D-05u is also equipped with the LUXMAN original disc drive mechanism, the LxDTM, allowing digital data to be read at a high level of precision. An asymmetrical, left-sided mechanism layout as opposed to the ‘usual’ centered mechanism structure is adopted after careful consideration of sufficient space for voluminous analog circuit, ideal flow for all kinds of signals, oscillatory path, and weight balance. What is more, the D-05u introduces a ‘box structure’, using a strong chassis to solidly enclose the whole mechanism and effectively cut out external vibration. 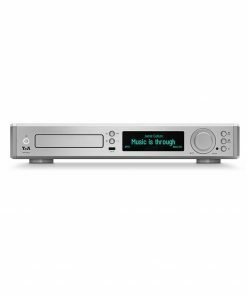 * LxDTM is an abbreviation for Luxman original Disc Transport Mechanism. 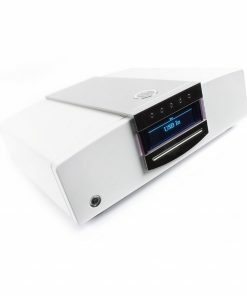 The large FL display of the D-05u exudes a sense of class and is mounted on the elegant front panel with a blaster white finish.The display features a dimmer function(brightness switching) that includes ‘lighting off’ and ‘zoom display’ modes that allows the display to be more visible from a distance. 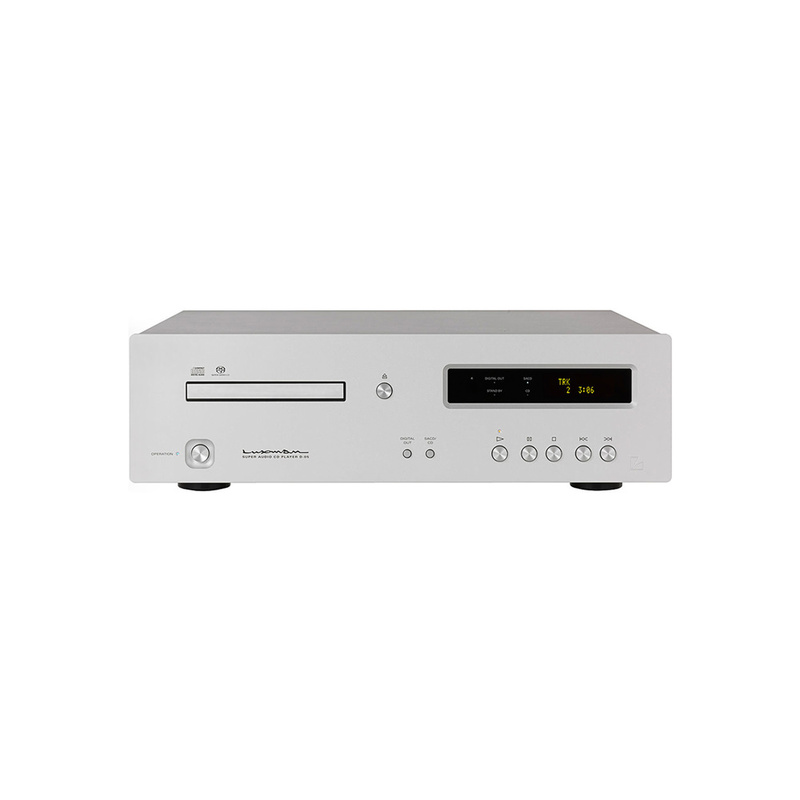 “LUXMAN Audio Player”, is the proprietary high sound quality playback software from LUXMAN and is supplied for audio reproduction with use of a Windows PC or Mac PC via a USB cable. The following file formats are supported and those formats are used by major music distribution sites: FLAC/ALAC/WAV/AIFF/MP3 and DSF/DSDIFF. The D-05u comes with a dedicated aluminum remote control with a numeric keypad that is slim, fits comfortably into the hand and is excellent to operate. 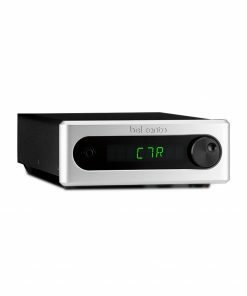 The remote control allows you to change between digital and analog filters and between CD and SACD players without moving from your listening position.